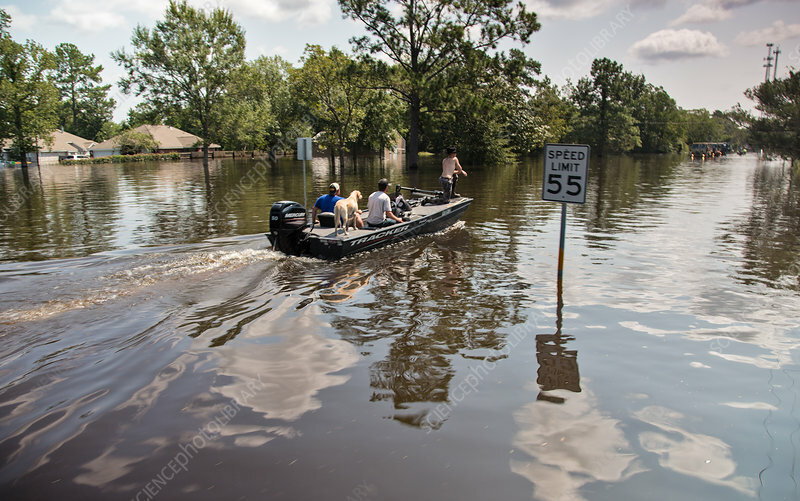 People getting around by boat in Vidor, Texas as the water continued to rise. Hurricane Harvey, was downgraded to a tropical storm when it flooded Vidor and the surrounding area. September 1, 2017.